Other Oil and Gas reviews by real, verified users. Find unbiased ratings on user satisfaction, features, and price based on the most reviews available anywhere. 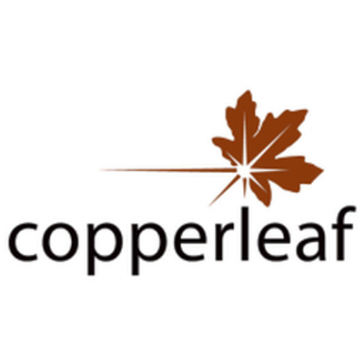 Copperleaf C55 is a unique Asset Investment Planning & Management (AIPM) solution that helps asset intensive organizations decide where and when to invest in their businesses to optimize performance and manage risk. C55 is highly modular and configurable, and integrates seamlessly with existing EAM, ERP, GIS and a variety of other systems—empowering organizations to turn data into decisions. Designed for both batch and continuous processes, Aspen Production Record Manager software provides easy and fast segmentation of production data into batches, campaigns or other logical groupings for easier analysis and production reporting. ATOM 3.0 is a precise and automatic method for tracking employee/ contractor labor hours using event data from the existing database. Core Chopper takes digital images of boxed core and quickly turns them into depth-indexed image strips for import into your petrophysics program. Database Loader offers control over the QC/QA process with a scheme for data validation that allows you to determine the level of validation applied to your well log. DataFrame Data Maintenance provides you the ability to manage and edit enterprise pipeline data with the ability to edit pipeline location, pipeline facilities with offline features and geographical features using a desktop interface. Dehy Manager is a web-based solution for the management of glycol dehydrator operating and analytical data. It provides a streamlined process for the preparation of DEOS and the annual benzene inventory, which must be submitted to the various regulatory agencies on an annual basis. DI Analytics delivers solutions that allow upstream E&P customers to become proactive, efficient, and competitive. The DocVue imaging, document management and workflow tools enables companies to electronically capture, secure, distribute and manage documents and their associated approval processes. AAASuite (Triple A Suite) automatically reduces the number of alarms and frees up engineering personnel for other tasks. EdgePetrol offers a data driven web app to petrol/gas station retailers, allowing them to optimize their business operations to maximize returns. EDM is a web-based software, which allows managing engineering documents related to global projects in the context of EPC contracts or design of major plants. Egistix Gas is designed to provide the information needed for decision making and helps you manage your information with a built-in exposure and flow analysis tool designed to provide data entry and analysis capabilities. Emission Manager is a web-based data management system and emissions calculation tool. Emission Master software calculates air emissions from fixed roof and floating roof storage tank operations on an annual or monthly basis and supports calculation of storage tank fugitive emissions. Is your propane or refined fuel business as efficient as it could be? Are your employees as productive as they should be? Are you filling tanks too early or driving too far? Energy-Force solves all those issues and more. Increase well file access, security and efficiency. Create, track and update your well files. Manage all well-related documents over the life of the well. Epsilon LD software allows hardware configuring of REGUL controllers (R600, R500, R400, R200). EQWin Desktop Edition is a database application designed to meet your businesses requirements for the collection, storage, analysis, reporting of environmental data required to monitor your compliance and focus on development. With Exaplog, the historical log can be analyzed using "3W" (When, Where, What) filters to identify and eliminate redundant alarms and to improve operation sequences. Exaplog helps managers, engineers, and operators enhance process efficiency. Field Vantage is an oil and gas field analytics software. Genscape provides energy market data and intelligence across the oil, power, natural gas and LNG, agriculture, etc. 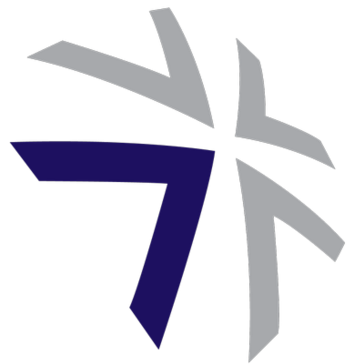 Global Project Tracker (GPT) is the petroleum service group that allows you to access PetroScope, PetroView, and PetroReports from the client portal alongside your Wood Mackenzie subscription. HAWK-X1 is a software solution designed with auto-record and one click PDF job reporting creation to help with digital box channel configuration, real-time graph with zoom, strip chart mode and event markers for job log, auto-record and more. 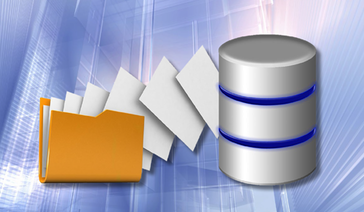 HD GeoSCOPE is an information management solution that combines the searchability of a database with the searching of objects within a graphical interface to recover documents and maintain an information base. The InnerLogix data quality management (DQM) solution helps you achieve reliable data and instill trust in your information environment. Landfolio® software is a leading land management software suite that automates and integrates all key elements of land administration management. Manage Petro fuel management system solution (MP-FMS) was developed with your business needs in mind. The Fuel management solution offers automated and real-time monitoring of your fleet or bulk fuel delivery business, so you have complete control over your entire operation. MICA can present oil and gas well production data graphically with point and click movements. Many different graph formats can be displayed and production history data is analyzed using a Decline Curve Plot. MSF-MAKER is a a software for generating accurate three-phase oil, gas and water relative permeabilities and three-phase gas-oil and oil-water capillary pressures. Numina is a sensing platform that uses computer vision to deliver real-time insights from streets and make cities responsive. The Ocean software development framework gives oil and gas companies the freedom to create advantage by building or integrating specialized technologies and workflows directly inside Schlumberger software platforms, including the Petrel E&P software platform, Studio E&P knowledge environment, and Techlog wellbore software platform. OnLink adds value and intelligence to drawings and documents by linking P and IDs to associated engineering content. Through the use of tags, hotspots and hyperlinks, information can be searched and viewed quickly and easily, improving productivity and operational efficiency. Pandell EA offers economic evaluations, current price desks, decline analysis, import production actuals, and batch case creation. Hi there! 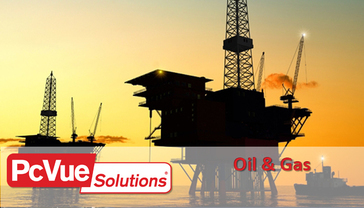 Can I help you find the best Other Oil and Gas solutions?